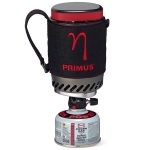 Primus is one of the world's leading developers and manufacturers of lightweight, reliable stoves, lanterns and headlamps for every conceivable sort of outdoor activity. Started in 1892, Primus has been the company of choice for real outdoors people the world over. Dating back to the late 1890's such places as the North Pole, South Pole, and even Mt. 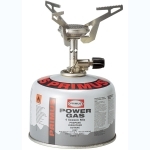 Everest have all been home to Primus stoves. Whether you're going on a challenging expedition, faced with living outdoors or even just a family camping trip, Primus has the equipment you require. Primus has been almost everywhere. Where have you been?